July 04, 2014, 4:56 p.m. According to government estimates, around 6% of the UK population are lesbian, gay or bisexual (LGB). The figures are based on a number of studies over the past 15 years, but not on census data; a freedom of information request response states that the environment such data is collected in, where other members of the household often see the responses or fill them out on the behalf of someone else, make it an inappropriate setting. No official figures – not even estimates – exist for sexuality within the gay community: how many gays and lesbians there are. 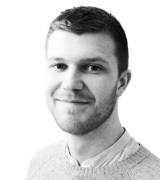 A new YouGov survey asked the British public how many gay men and women they know. 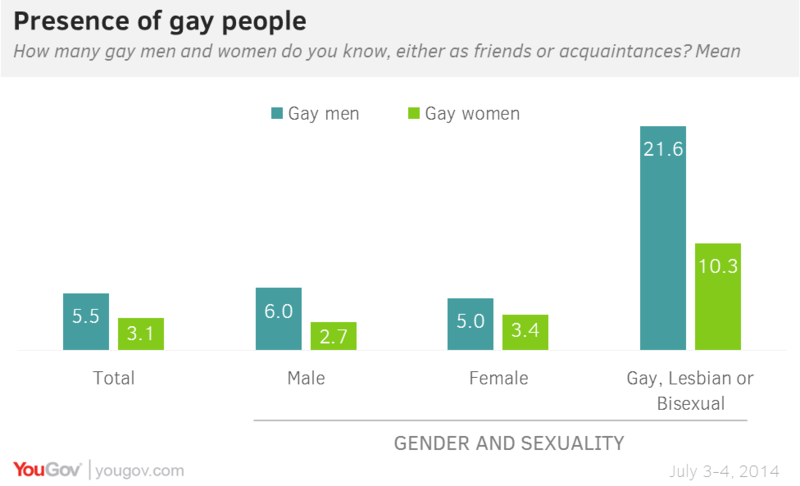 Taking an average of the results, a typical British person personally knows 5.5 gay men and 3.1 gay women. Women are more likely to know gay women (they know 3.4 compared to the average males’ 2.7), however they still know more gay men (5). Within the LGB community, the difference is actually more dramatic. The average British LGB person knows 21.6 gay men and 10.3 gay women. People who live in London know significantly more gay men (8.5 compared to between 4.8-5.5 elsewhere). However their acquaintance with gay women is no more pronounced. The LGB charity Stonewall accepts the government estimate, of around 3.6 million gay people living in the UK in 2005. Before then, statistics agreed with politics: “Historically people have got bogged down in endless rows about this with some of the more colourful gay activists insisting as many as 20 per cent of the population was gay, while people who were opposed to gay equality, such as Norman Tebbit, claimed it was one in 100. Six per cent feels like a sensible estimate”, said a Stonewall spokesman.